Oilers 20-year-old goaltender recognized after posting a 6-0-1 record in leading Tulsa to the top of the Mountain Division in November. PRINCETON, N.J. – Tulsa Oilers’ goaltender Evan Fitzpatrick is the Howies Hockey Tape ECHL Rookie of the Month for November. The 20-year-old appeared in eight games in November, going 6-0-1 with a 2.10 goals-against average and a save percentage of .923. He allowed two goals or less in five of his seven starts and made at least 23 saves in six of his seven starts. Fitzpatrick ended the month with six consecutive wins. A second-round selection (59th overall) of the St. Louis Blues in the 2016 NHL Entry Draft, Fitzpatrick is 7-1-2 in 11 appearances with the Oilers with a 2.44 goals-against average and a save percentage of .910. Prior to turning pro, Fitzpatrick appeared in 181 career games in the Quebec Major Junior Hockey League with Sherbrooke and Acadie-Bathurst, posting an overall record of 73-76-15 with five shutouts, a 3.30 goals-against average and a save percentage of .894. Last season, he helped lead Acadie-Bathurst to the Memorial Cup title. In recognition of his accomplishment, Howies Hockey Tape will present Evan Fitzpatrick with a Howies Prize Pack during an on-ice ceremony at an upcoming Oilers’ home game. Tulsa embarks on its longest road trip of the season starting Friday with a 6:15pm CT battle against the Toledo Walleye at the Huntington Center. 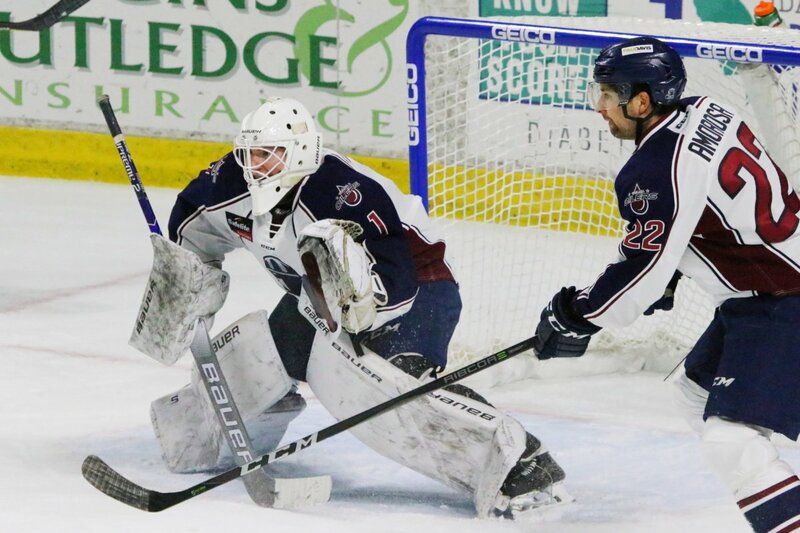 The Oilers then face the Kalamazoo Wings Saturday at the Wings Event Center, before closing the weekend in Fort Wayne with a matchup against the Komets at Memorial Coliseum.